Garden rooms are the ultimate venue for an outdoor lifestyle. Whether they're for cooking, dining, celebrating or just relaxing, the idea is to make part of the yard as usable as any indoor room and with as many creature comforts as possible. Outdoor rooms are a loosely defined concept. Any outdoor space that is designed for people and has some sense of enclosure would qualify. A solid surface for placing furniture and walking around on is one feature that underlies any outdoor room. At a minimum, this would be a gravelled or mulched portion of the yard, but usually a garden room is centered around a deck or a patio. You can base the design of an outdoor room around the shape of an existing deck or patio, or design a new deck or patio around your ideas for an outdoor room. Vertical elements further define the space of an outdoor room. Shade is often a major factor in making outdoor areas comfortable to spend time in, so shade cloth, canopies, pergolas, pavilions and gazeboes are often incorporated. You may want to consider a retractable canopy so you have the option of opening it to let the sun in when the weather is cool, or for star-gazing. 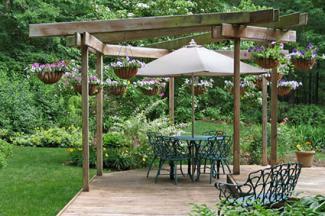 Some overhead structures, such as pergolas, are suitable for supporting vines which add a graceful touch. 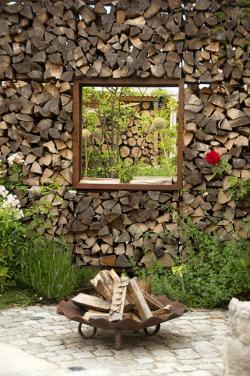 There are no hard and fast rules, but most garden rooms will have at least some elements resembling a wall. They may literally be up against one or more walls of the house or the walls may take the form of a dense hedge, a lattice screen, outdoor drapes, a garden wall, a fence, or an all-weather room divider. Often, more than one of these is used to enclose a garden room on multiple sides. However, there is nothing against leaving one or more sides open to encompass a particular view and reinforce a connection to an adjacent part of the landscape (such as a pool). The openings naturally serve as entryways and may be big and wide or as small as door in a house -- in which case you may use an arbor or a gate to mark them. What you put inside a garden room is defined by what it will be used for. Some may include only hammocks, chaise lounges, and day beds for relaxing. Others will consist primarily of a table and chairs for dining. It's possible to have a fully functional kitchen with a sink, mini-fridge, and an elaborate barbecue station. A big screen television and sound system are not out of the question though any electrical appliances will generally necessitate rain-proof overhead protection. 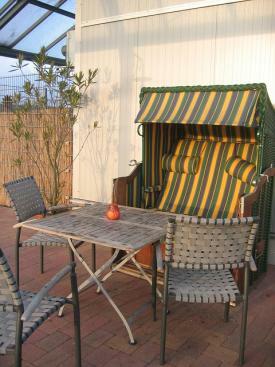 Outfitting a garden room for its desired purpose is a matter of adding the right accessories. This is your chance to customize the space with special touches that will make it truly memorable. Lights - It is important to consider lighting if you want to enjoy the space at night. This can run the gamut from candle lanterns and tiki torches to tabletop lamps and recessed lighting that's built into the overhead structure. Heat - A source of heat will keep it comfortable on chilly nights and create a cozy ambiance. 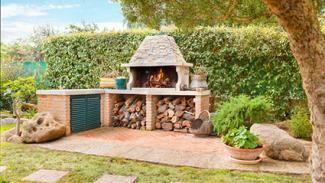 Consider a fire pit, patio heaters, or a wood-fired pizza oven for this purpose. Decorations - Decorate in the way you would in an indoor room, but using materials suitable for outdoor use. This may include outdoor carpets, garden art, wall hangings, and fountains. Naturally, a garden room is incomplete without plants. Integrate them in the following ways. 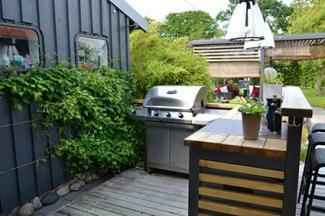 Add plants in pots and planters around the periphery of the space to integrate it with the surrounding landscape. Flowers (black-eyed Susans, lilies, yarrow) and culinary herbs (lavender, rosemary, sage) are among the top choices. Consider a small colorful tree in a bed or planter off to one side of the garden room as an accent (Japanese maple, saucer magnolia, chaste tree). Dress up vertical elements with flowering vines (jasmine, climbing roses, wisteria) and hanging baskets (ferns, fuchsia, bacopa). If the floor is made with flagstone or large pavers with spaces in between them, you can add groundcovers that are tolerant of foot traffic for a more naturalized effect (creeping thyme, Irish moss, baby's tears). When selecting shrubs to form a living wall around part of the garden room, look for varieties that are neat and tidy throughout the seasons (boxwood, nandina, photinia). After you've come up with a vision, it's time to fine-tune it and create a workable plan. Garden rooms can run into the tens of thousands of dollars if you're paying a professional to design and install something elaborate. In their most basic form, however, you can create something in a weekend for under $1,000. Consider the scope of the project you're prepared to take on and decide whether you'll do it all at once or in stages. A soon as the ground has thawed and dried in spring is the ideal time to start a larger project, so you can finish it in time to enjoy your new space for the summer. A flat location adjacent to the house is often the easiest place to build an outdoor room, but there is nothing against planning one as a destination out in the yard. Just keep in mind that you'll need to pipe water and electricity to the location if they are part of your plan. If sloped land is the only option you have to work with, you can build a deck over it to make flat, usable space. Climatic considerations play a role in siting garden rooms as well. In hot climates, you may want to locate it under the shade of a large tree. Southern exposures are ideal locations in cold climates so you can get more use out of your garden room during the shoulder seasons. Naturally, your specific design will inform the process for building your garden room, but here is an overview of the basic steps to guide you, along with a few tips and pointers. Take care of any grading first. You may need a retaining wall if you're cutting into a slope to make a flat pad for the project, but the slope and wall can help to define the boundaries of the room on that side. Remember that patios need to be built on stable subsoil; decks can be built on top of uneven terrain, however. Install piping and conduit for water, electricity and gas, if needed. Build the floor structure, whether that involves pouring concrete, laying flagstone, installing pavers, building a deck, or just spreading mulch or gravel. Build the overhead structure. If posts need to be set in the ground, it may be necessary to coordinate this step with the previous one. Garden rooms are usually three-season structures that require a bit of winterization to make them last. Shut off the water supply and drain the lines to prevent freeze damage. Retract canopies, remove drapery and take down other free-hanging objects so they are not damaged in the wind. 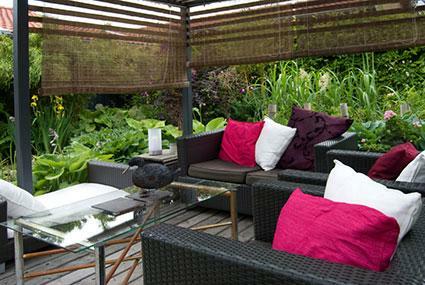 Bring in cushions and cover furniture with to protect it from the elements. Building a garden room is an investment in your quality of life. Because they are separate from the house and designed for recreation and leisure, you'll feel like you've been on a small vacation every time you go out there.